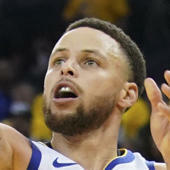 Bell put up six points (3-7 FG), nine rebounds, one assist and one block in 16 minutes Wednesday in the Warriors' 129-107 loss to the Trail Blazers. With three rotation players (DeMarcus Cousins, Andre Iguodala and Shaun Livingston) sitting out the second half of the back-to-back set for rest, a spot in the rotation opened up for Bell, who served as the backup to starting center Kevon Looney. After sitting out each of the previous three contests, Bell made a solid impact off the bench in his return to action, but it's probably not going to be enough to open regular minutes back up for him. There's a good chance he drops back out of the rotation following the All-Star break when the three players who rested Wednesday are added back to the mix.